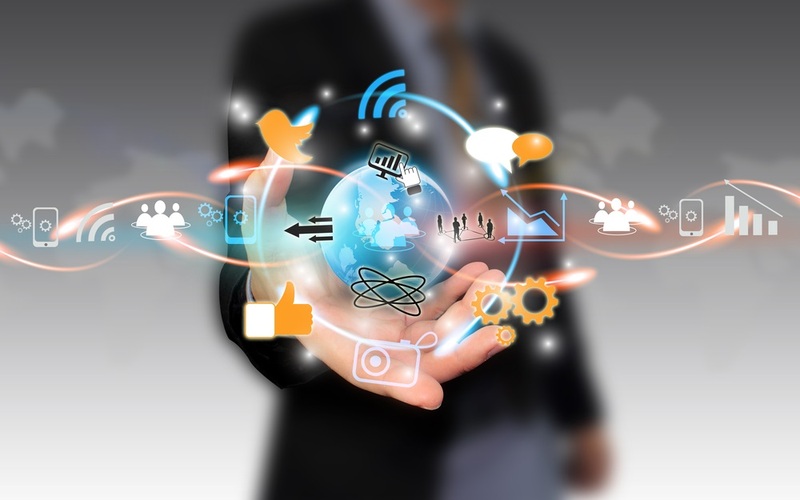 Like SEO and SEM, social media can play an important role in your digital marketing mix. The profiles, posts and tweets you create, as well as the interactions you generate, have the potential to draw in new leads to your website. If users like what they see, this could result in a profitable business exchange. But even if a prospect doesn’t interact with your social channels directly, a strong social media presence improves your organic search ranking so potential customers find you before your competitors. We’ve talked about these “organic” search results before: they’re the main results you see when you search on a term such as “Phoenix property management” – not the ads at the top, side or bottom of the page. Unlike those paid ads, you can’t buy your way up in the rankings of organic search results. Google and the other search engines use sophisticated, constantly changing algorithms to rank the results, based on relevance and usefulness of the information to the person searching. Your job is to appear as relevant as possible to the search engines when a local property owner looks for management. And that’s where social media joins SEO as an important tool. Though there are literally hundreds of social media platforms, we recommend you start with Facebook, Google+ and Twitter in your effort to move up in search engine results. You’re probably at least somewhat familiar with all three. Facebook is the juggernaut built by Mark Zuckerberg that now claims over one billion users. An individual can create a profile and become friends with others to keep up with their lives, share articles and videos, etc. If you’re a business, you create a personalized business Page on Facebook. People can’t “friend” a business, but they can “like” it, comment and receive replies, and share posts to other platforms or to their personal Facebook timelines. Google+ is roughly similar to Facebook, with the major difference being its emphasis on helping people make new connections and access interesting content based on their interests. Twitter is built around very short (140-character maximum) tweets grouped by subject via hashtags (e.g. #SocialMedia or #ClassicTVShows). With its concise nature and quality of immediacy, it’s the most quickly reactive of the social media platforms. Among the criteria the search engines weigh when deciding where you’ll rank in their results is social media activity. Do you have profiles on the major platforms? How much useful content have you generated in your posts? How many people are following you, reading your information, sharing your content or interacting with your business? If two competitors have done an equally good job with SEO, social media can make the difference in who ranks first. Just having profiles on the platforms means something, regardless of how much activity follows. These profiles are linked to your website, acting as “citations” or “references” that establish you as being in the property management business in a particular region (since social media profiles contain location data). But beyond this, the search engines index the social media platforms looking for your company’s contributions of content and level of engagement; the more activity and “citations” they find, the better. You appear more important than your competitors if many people are talking about and engaging with your company rather than theirs. For each social media channel, there are unique strategies for creating and sharing content that increases online engagement. It’s a waste of time to blindly push content out to social media platforms, but relevant, high-quality content goes a long way. So what type of content is useful for an online rental prospect?? Put yourself in their position and get creative. From there, post original content or information from trusted sources and include keywords targeted toward that group. Of course, the more geographically related your content is to your business the better. If your business is centered in Phoenix, you’ll want that keyword as the focus of your content. 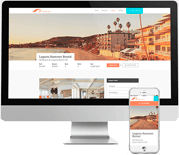 Not only will it be more relevant to the owners you’re trying to attract, but the search engines will relate you to property management specifically in the Phoenix area. But searches aren’t only being made through sites like Google—many social media platforms are becoming de facto search engines. In addition to seeing what their friends are up to, people have started to use Facebook to search for subjects, products and even business references. You’ll benefit by popping up when people look for opinions about local property managers on Facebook or Google+ just as you do when they search today on Google. Property management professionals shouldn’t overlook social media as they explore ways to increase business. You can set up and run a social media program yourself, but it requires a great deal of time, energy and research to be successful. Propertyware handles the social media for so many property management companies using industry experts, so you can focus on other aspects of your business. Interested in learning more? Visit us online today. You can also engage with us on Facebook, Twitter and LinkedIn! Next Article: Should Your Property Management Company Switch to VoIP?